Look out for signs of our favorite fruit on the menu and in the restaurant! 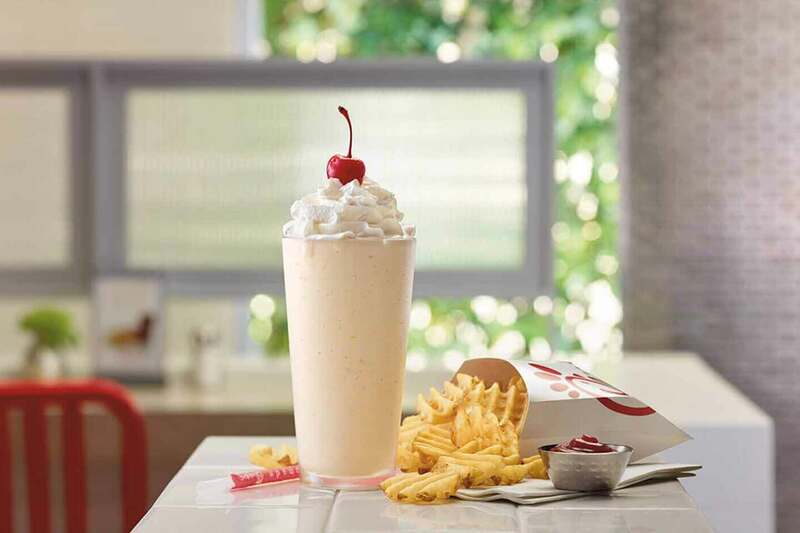 Just as peaches are ripening in orchards across the country, we are bringing back the Peach Milkshake. This delicious treat features hand-spun Icedream and fresh peaches and hits the menu on June4. A customer favorite, most people order it in June and July and alongside our popular Waffle Fries, but the taste pairs well with any summertime scene! Customers often order half tea and half lemonade at our restaurants, so this summer, we’re officially adding the refreshing combination to our menu nationwide, with the added sweetness of our favorite fruit. The new drink is a combination of our simple Chick-fil-A Lemonade and freshly-brewed Unsweetened Iced Tea, blended with natural white peach flavor. Why white peaches? They’re lower in acidity with a bolder sweetness to their yellow peach counterparts. 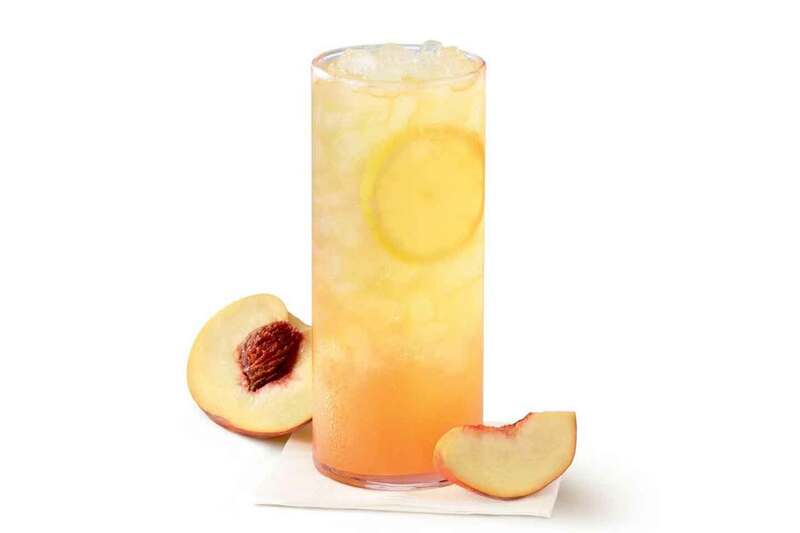 Like the Peach Milkshake, the White Peach Tea Lemonade is only available during the summer. Get them both while supplies last until August 25! The next time you’re in a Chick-fil-A restaurant, look up. In a nod to our Georgia roots, you’ll notice an unexpected detail lighting up some of our dining rooms. 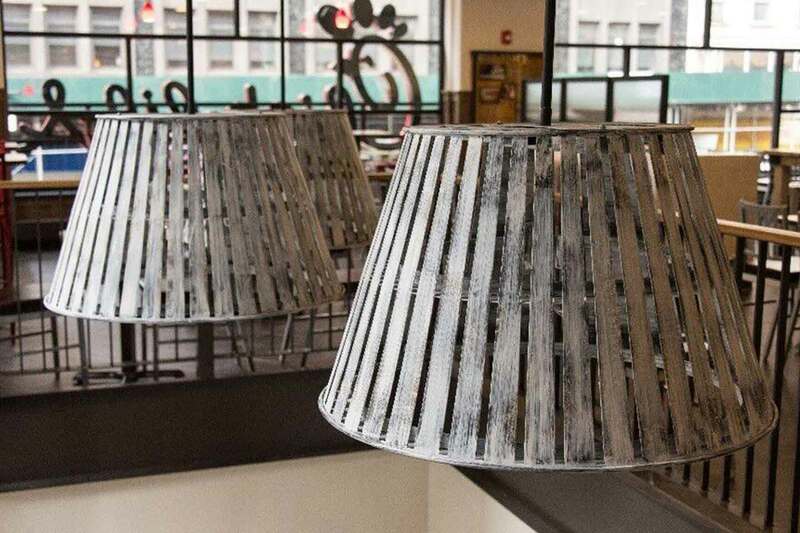 Our newer “Heritage Design” restaurants include lampshades made from peach baskets. The goal was to create subtle, yet fun, elements that make the dining rooms a more comfortable place to enjoy a meal. We hope you agree, whether you’re indulging in your peach passion or another fruity or sweet treat on our menu.